CCRM Associates Mike Harrison and Matt Wilson have been key partners on an exciting project to assist in using modelling tools for climate change vulnerability and impact assessment in Georgia and Azerbaijan. The project was part of the Clima East partnership offering support for climate change mitigation and adaptation in Eastern Neighbourhood countries and Russia. 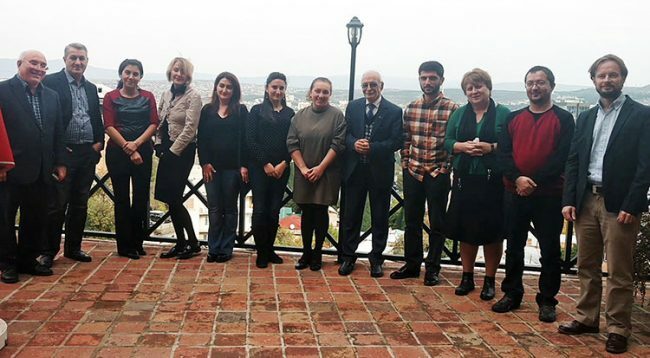 Having identified the climate modelling tool SWAT (Soil and Water Assessment Tool) as the best tool to use, Matt then delivered two highly successful workshops in Baku and Tbilisi. We look forward to working with our Clima East colleagues again soon.